JUST RECORDED TODAY!! PHENOMINAL DIAMONDS FOREVER 31 13 PLEASE!!! sign this petetion for OUR disclosure!!! world wide!! we can do it!! just YOU Diamond. Take the Action!! only takes a min or two of your precious escence. love you. PLEASE!!! sign this petition for OUR disclosure!!! world wide!! we can do it!! just YOU Diamond. Take the Action!! only takes a min or two of your precious escence. love you. Diamonds Forever Show 31 13: Will Feature Steve Bassett on a Round Table, Raising your vibrations to ready You for meeting YOUR star family. Coming sooner than you think. Joined with Tom Clearwater; one funder of the Citizens Hearings,held 2013, & Peter Maxwell Slattery Starseed. Saturday January 10 2015: 2pm Est. see below and don't forget sign this petition. Love YOu Diamonds you are. 100,000 Signatures In 30 Days Are Needed For A White House Response About Extraterrestrials December 16, 2014 by Arjun Walia. 31 Comments. The “Disclosure Petition VII – Congressional Hearings” is now up on the White House website and ready for signatures. If 100,000 signatures are obtained within 30 days, the President will be required to respond and the petition will remain on the White House website for the remainder of the President’s term in office. “I’ve known truly honest, deeply committed members of the government, members of the administrations, members of the congress and those who hold cabinet positions that, even before today, have been particularly prominent and have been wanting to end the “truth embargo.” Regardless of what we think of the evidence at this point, we know that there needs to be hearings, and there needs to be official hearings. ” (source) – Former U.S. Congressperson Merrill Cook SIGN HERE: *****https://petitions.whitehouse.gov/petition/support-congressional-hearings-governmentagencypolitical-witnesses-extraterrestrial-related-events/zYx1VkvD A petition will be launched on January 7th, 2015 by Steven Basset encouraging the United States government to hold congressional hearings regarding all of the information that has surfaced over the past few years pointing to the fact that an extraterrestrial presence has been interacting with the human race for quite some time. If the petition receives 100,000 signatures the White House will respond. I am creating awareness about it now to let people know, and will also be doing the same when January 7th comes around with a link posted to where you will be able to sign, so keep at look out for it. With regards to the picture you see used for this article, it’s real. In 1952 UFOs were spotted near the White House that prompted worldwide interest. They were visually confirmed as well as radar confirmed. You can read more about what happens when UFOs are tracked on radar here. They made national news and it was heard around the world to the point where President Truman was forced to speak about them, you can see what he had to say here. This sighting could not be hidden. “Oh yes we discuss it at every conference that we’ve had with the military. There’s always things like that going on, flying saucers and they’ve had other things you know, if I’m not mistaken.” (source) Regardless of what you think, extraterrestrial craft or advanced human craft – the implications are huge. I wonder what Truman is referreing too when he says “they’ve had other things you know.” Could he be referring to extraterrestrial bodies? Who knows. “Behind the scenes, high ranking Air Force officers are soberly concerned about UFOs. But through official secrecy and ridicule, many citizens are led to believe the unknown flying objects are nonsense.” Former head of CIA, Roscoe Hillenkoetter, 1960 (source) There are currently a substantial number of government agency, political, academic and military personnel of high rank that have announced that they are prepared to testify under oath to congressional committees pointing to the evidence that surrounds this topic. “There is a serious possibility that we are being visited and have been visited for many years by people from outer space, by other civilizations. Who they are, where they are from, and what they want should be the subject of rigorous scientific investigation and not be the subject of ‘rubishing’ by tabloid newspapers.” (source) – Lord Admiral Hill-Norton, Former Chief of Defence Staff, 5 Star Admiral of the Royal Navy, Chairman of the NATO Military Committee Last year the director of The Paradigm Research Group, Steven Basset arranged and organized a historic and memorable event in the world of Exopolitics. It was the Citizens Hearing on Disclosure, a congressional style hearing that gathered, involved and brought several United States Congresspeople to the National Press Club in Washington D.C. for one week. “They want a hearing, I think they deserve a hearing and I want to be a part of that. The cloak of secrecy has become more and more obvious to me, the people who pulled the cloak of secrecy over this – why did they do that? I think we need to understand why they did it so we can get this thing reversed. There’s something out there, there’s clearly something out there and the American people have a right to know.” – (source) Former U.S. Congress Person Roscoe Bartlett At the hearing they sat in on and listened to over 30 hours of testimony from over 40 witnesses over a period of 5 days. The event was the most concentrated body of evidence regarding the extraterrestrial subject ever presented to the press and the general public at one time. 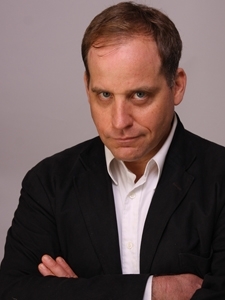 “This thing has gotten so highly-classified…it is just impossible to get anything on it. I have no idea who controls the flow of need-to-know because, frankly, I was told in such an emphatic way that it was none of my business that I’ve never tried to make it to be my business since. I have been interested in this subject for a long time and I do know that whatever the Air Force has on the subject is going to remain highly classified.” – Senator Barry Goldwater, Chairman of the Senate Intelligence Committee (source) The witnesses included researchers, academicians, six former members of the United States Congress, military, political and agency personnel from around the globe in order to testify about events and evidence indicating that an extraterrestrial presence is (and has been) engaging the human race. Beyond witness testimony, we also have a tremendous amount of declassified government documentation regarding the UFO phenomenon, as well as documents obtained by a number of researchers via the Freedom of Information Act (FOIA). Documents released by the National Security Agency (NSA) reveal what is recorded when a UFO is being tracked on radar. AA Michael highlights three powerful points in 2015 when the potential for major transformations can manifest. We have work to do! I've highlighted the three periods in bold. This message also encourages us to make that connection with our own Divinity. 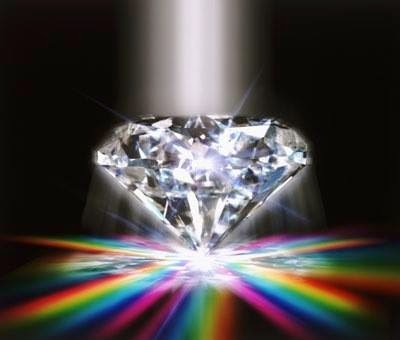 In the year 2015, you will be given the opportunity to further develop your skills and abilities as the powerful Diamond Light energies create further acceleration of consciousness and further activations of DNA codes for spiritual and physical evolution. We call this new Time Spiral the Diamond Path, and on this path you will discover the power of Infinite Love and Compassion. 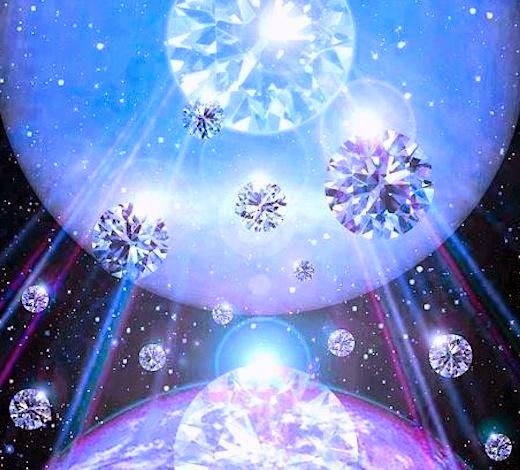 You will discover your power within the Galactic and Cosmic energies and you will focus this into the creation of a loving and harmonious reality as you travel the Diamond Path as multi-dimensional Masters and Creators. Beloved Family of Light, there will be three very powerful moments of Change and Transformation in 2015. The first will be in March and April of 2015, and it will be initiated at the time of the Equinox. At this time, the Earth will experience a Total Solar Eclipse that will provide the opportunity for the Planet to shift away from dualistic confrontation and aggression and into a more balanced and harmonious state of collective co-existence. For those of you who have opened up to a state of higher awareness and become Masters of Manifestation, this will be the moment to hold the energies of Inner Peace, Harmony and Love, and to focus on the Creation of a Reality of Harmony and Abundance on the Earth. You will have the ability to harness the creative magic of the Sixth Dimension and assist in manifesting a new reality. There will also be a Total Lunar Eclipse on the 4th of April, and the period between the 20th March and the 4th of April will see many shifts and changes on the Earth, opening the way for new forms and new creations. These changes will be felt on the individual and the collective levels. We ask you not to be intimidated by these changes, Beloved Ones, but to hold the focus of Love and Creativity, seizing the opportunity to align with the new Timeline Energy of 2015 and to create Abundance and Harmony rather than to contribute to lower timeline energies of conflict and chaos. The Second powerful moment will be at the Planetary New Year, from the 26th of July to the 12th of August, and will include the energies of the Lion's Gate as a fulcrum of evolutionary and creative progress. The high point will be on the 8th of August at the 8/8/8 Time Gate. The Cosmic Energies that pass through the Lion's Gate will amplify the new higher energies and create opportunities for many to begin new projects or to step into a new career path that will be more in alignment with their revised mission and purpose on Earth. At this time, the Higher Councils of the Galaxy, in alignment with the Solar Council and Earth Councils, will initiate many new energy vortexes or timelines that will allow for manifestation of the New Reality in physical form. These projects will prepare the way for the powerful initiations of 2016 and 2017. The adventure of the Diamond Path is certainly under way! Those of you who are ready will step forward into this new path of accelerated consciousness and opportunity. The Third powerful moment will be at the September Equinox, which falls on the 23rd of September. In this month there will also be a Partial Solar Eclipse on the 13th of September and a Total Lunar Eclipse on the 28th of September. The themes of these powerful shifts will be a continuation of the new energies of higher awareness that were initiated at the March Equinox and Eclipses. There will also be further opportunities to anchor the Diamond Light of Harmony, Peace and Abundance and to create a New Reality. It will be an exciting and challenging time, but also filled with new opportunities. Again, we ask that you focus on these opportunities to empower yourself as Masters of Light and Creativity, and to assist in grounding the New Reality for Planet Earth into the Human Collective Consciousness grid so that form may follow on the material plane. This two week period will be rich in opportunities to work with the Beings of Light and the Angelic Realms, and also the Magical Elemental energies, to anchor this magical and miraculous New Reality. Let's band together to fight Inequality The Revolution starts now!!! love which allows them to connect together beginning a process of integration consciously. This will first manifest as heightened waves of love consciousness, understanding and wisdom flowing into your entire being, akin to being continuously recharged with love vibrations. Some vibrations will be new to you allowing further embodiment and unification of and with the Creator. These are the greater possibilities of the Era of Love; you may see why we say you are only just beginning your journey with and as the Era of Love. If love is born from need then it is not the true love of the Creator and simply an attachment. The Crucifixion is a process of dissolving attachment. For those willing to let go, remain in love, peacefully accept freedom from unneeded reactions while creating from within all they wish to experience, the process of Crucifixion may not be noticed. For those not wishing to let go, wishing to react and fight the process of release and healing creating drama and chaos then the time of Crucifixion may be turbulent and painful. Your experiences and reactions to your reality are your choosing. Allowing yourself to remain in and as love as much as possible will cause you to accelerate through many processes of ascension in the blink of your eye. 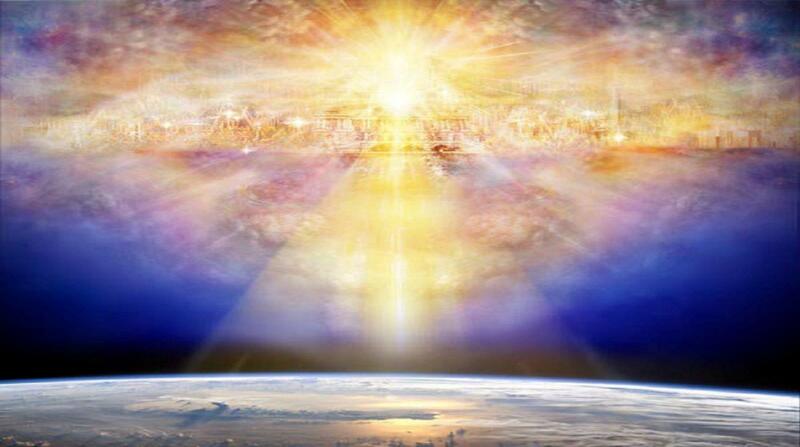 long ago, thus the process of ascension through pain will fall away, allowing you to enjoy the continuous process of Resurrection and Ascension on the Earth. This is a journey for all of humanity, there cannot be a time placed on the completion of this journey for all will dissolve the cycle with divine timing. If you allow yourself to consciously let go of thoughts, emotions and all you feel is not an expression of your soul, love or the Creator this will decrease dramatically their manifestation into your physical reality.